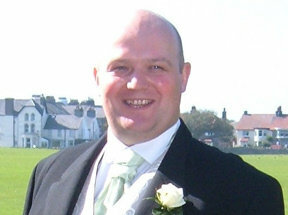 Marcus is married to Helen and has two sons, Harry age 8 and 6 year old Tom. Prior to becoming a full-time co-driver, Andrew had a successful career in Telecommunications, working for multi-national companies such as Ericsson and Nortel Networks. He holds a Bachelor of Engineering (Hons.) Degree from the University of Warwick. Like son, like father! Harry did not take up rallying until his 60's having always encouraged Marcus through his career. 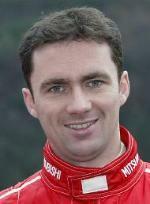 He has experienced driving Peugoet 106, Mitsubishi Evo and Subaru Group 'N' and is currently driving the Hyundai Accent WRC. 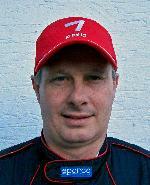 Richard is the second Manx co-driver to join the team. Still competing regularly with fellow Manxman Steven Quine in local events, Richard has teamed up with Harry for selected rounds of the 2007 Hankook National Rally Championship. Since starting rallying in 1991 Richard has worked with a number of UK & Irish teams and drivers, career highlights to date include; winning multiple national junior championships, the National Group N Championship in 1999 and the 2005 Manx Trophy Rally. He is still based in the Isle of Man where he works for Manx Telecom, but can also be seen working for Greenlight TV on British Rally Championship events. 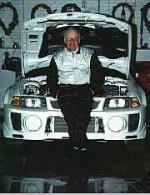 Peter started Rallying over 20 years ago and in that time has driven a variety of cars. After an 8 year lay off, he returned to the sport in 2004 driving a Group N Subaru on selected events and changed to a Hyundai Accent WRC for the 2005 MSA National Gravel Championship. 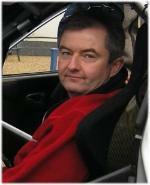 Paul started rallying in 1979 whilst at university where he gained a degree in Product Design. He has contested almost 500 events and won his first championship in 1986 when he became Welsh tarmac champion. 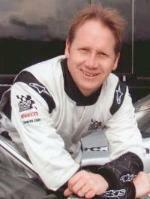 With numerous wins to his credit with a variety of drivers he won the 1994 Peugeot GTI Challenge and became a works co-driver for Peugeot Sport UK. He then spent 2 seasons with Honda UK in the works Civics. 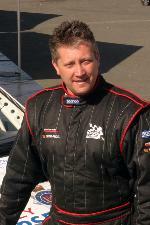 He has since won both the BTRDA Silver and Gold star titles with Brian Bell in 1999 and 2002. Now teamed up with Peter Egerton to contest the 2007 BTRDA series. Shaun is a Traffic Inspector for Dorset Police, he is an advanced driver for both police cars and motorcycles. The rallying project started after Rally Sunseeker 2005 and with Marcus's help Shaun is learning Gravel Rallying having spent many years driving quickly on tarmac! 2005 was spent upgrading his competition licence to National 'A' Stage so that he can compete in 2006 on the full Ancro National Gravel Rally Championship. In his spare time Shaun is a keen motorsport fan and photographer. He is married to Heather and they have two children, Joshua 9 and Elliot 4, who keep them very busy. Mark Williams is a Traffic Sergeant in the Dorset Police and like Shaun is an advanced car driver and motorcyclist. He is also a Force fitness and personal safety trainer! Married and living locally with grown up children leaving the fold, Mark saw military service in the Falklands before joining the Police. Having never been in a rally car before Mark is really looking forward to the challenge of this new sport.